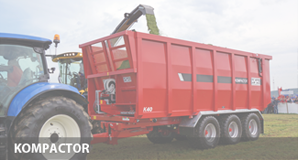 T series vertical auger feeders range in size from 14 to 32m³ with two vertical augers. A single discharge door is standard. 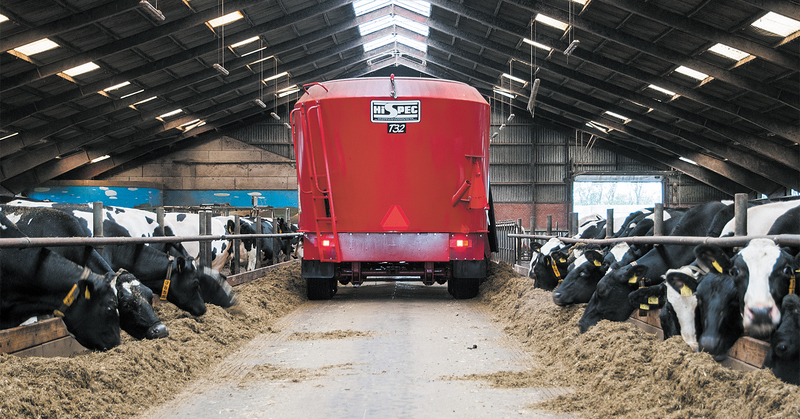 The larger capacity T Series can produce feed loads for 98 – 224 cows (140 – 320 cattle). The T Series is built with the same strength in depth as all HiSpec machines. The heavy duty 20mm floor is complete with unique vertical reinforcement as standard across the T Series. 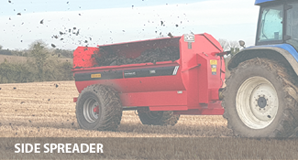 The T Series is ideal for operators where higher work rates and large capacity mixes are required. 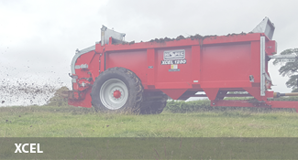 The T Series is fitted as standard with a heavy duty chassis. A tandem axle is fitted from sizes 27m³ and above. 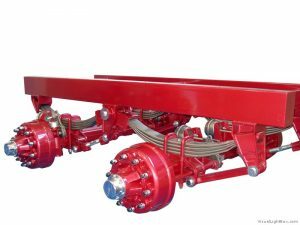 The tandem axle can be fitted for improved manoeuvrability and for travelling on roads. 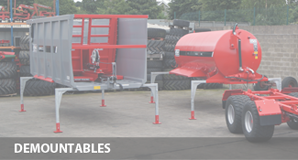 All T Series feeders feature a robust twenty millimetre floor. HiSpec also incorporate vertical reinforcement to the underside of this floor. This helps to strengthen the floor from the vertical forces of feed being loaded into the machine. This feature and strength is unique to HiSpec. 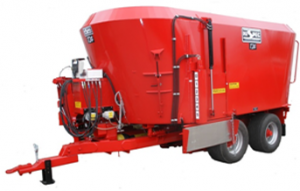 The T Series feeder body is made from eight millimetre high-grade steel. The body is tapered to allow efficient mixing and to also maximise volume. The eight millimetre body is very resistant to wear and the top of the body is also tapered inwards which helps to brace the feeder and retain the natural inherent strength. The top of the feeder is fitted with an over-flow ring to prevent spillage. HiSpec uses Comer gearboxes as standard across our vertical feeder range. Comer Industries is a global leader in the design and production of advanced power transmissions and gearboxes. Established in Italy in the beginning of the 1970’s, Comer Industries has grown to become a major supplier to over 60 countries worldwide. 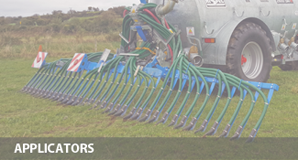 A robust PGA planter reducing gearbox is provided as standard for the auger rotation. The PGA gearboxes possess strong torque characteristics to ensure that the mixers cope with chopping and mixing effortlessly. 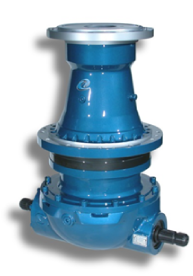 Each gearbox is supplied with an independent oil reservoir. 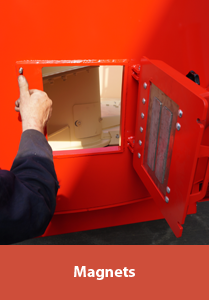 Service and maintenance is quick and convenient through an inspection hatch located on the auger. 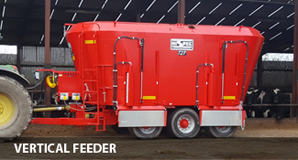 A two speed gearbox is also fitted as standard on all T Series feeders. 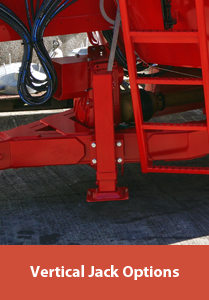 The two speed gearbox allows the auger to rotate at multiple speeds. 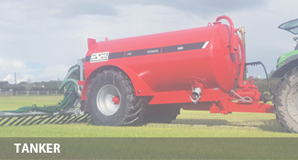 The low speed setting allows smaller HP tractors to operate the mixers and is also used for restarting after overnight settling. 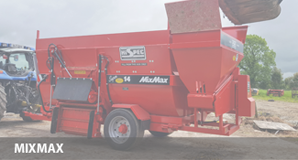 Operators can choose the high speed setting to provide complete and rapid emptying of the mixer. The movement of the ration inside the feeder is critical to the final mix quality. To produce a smooth mixing process, HiSpec has developed a unique ‘Feed Motion’ for our augers. 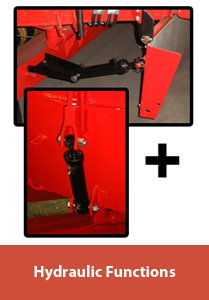 The augers in the T Series are motioning the feed in both a vertical and horizontal movement. 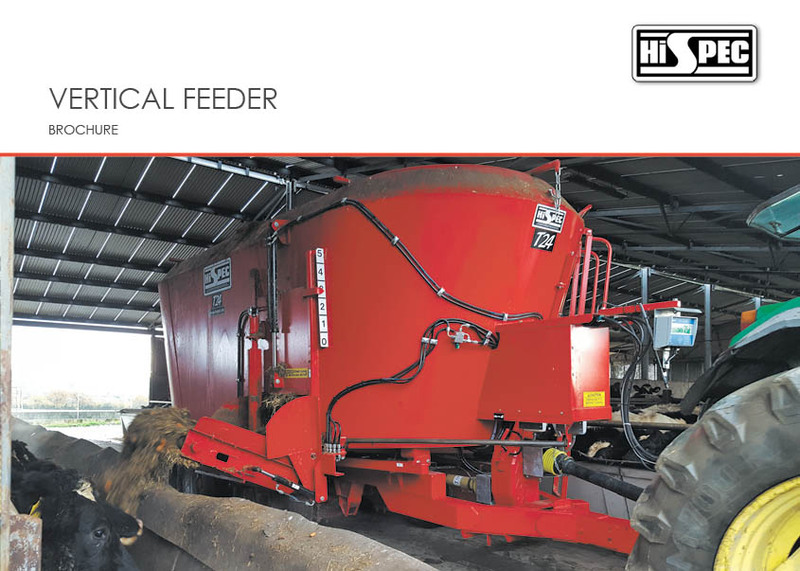 This ‘Feed Motion’ helps the mix to move in a ‘Figure 8’ motion to create an even and homogeneous feed. The unique auger design allows any material to be added to the mix. 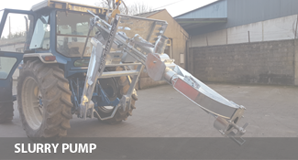 The auger also lifts the ration up from the floor ensuring that the feed is in constant motion and mixed thoroughly. For chopping, the augers are fitted with self-sharpening blades. These blades are mounted on 15mm support plates for increased strength. The chopping blades are adjustable through three different positions for increased or decreased cutting. 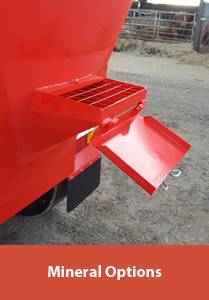 Two counter plates positioned on the feeder body hold the feed or bale in-situ and this allows the rotating auger to chop the feed before mixing. The two counter plates are also adjustable for increased flexibility. 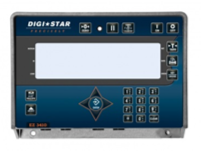 Four Digi-Star weigh-cells as standard and an EZ3410 display provide an extremely accurate feed weight. The EZ3410 display comes with a faster micro-processor than previous models and an easy to read white back-light display. Build a number of recipes for multiple pens. Choose 1 ingredient with 98 pens to 98 ingredients for 1 pen, or any combination between. Enter ration by: animal number, percentage or load. With increased land and time restraints, farmers want to complete their feeding in as short a time as possible. 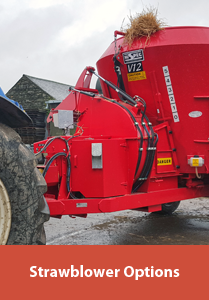 To enable shorter travel t imes between farms and less wear on the feeder, a tandem axle can be fitted. 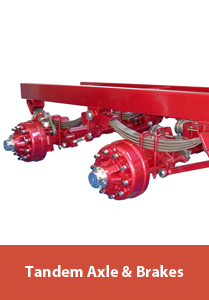 Tandem axles provide greater comfort and less stress when travelling with a load. Options are available in rear steering and non-steering. 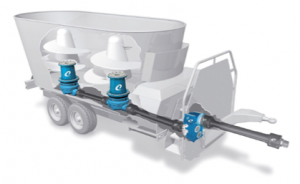 Rear steering axles provide extra manoeuvrability around your yard. 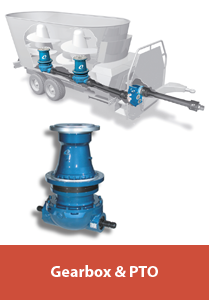 Non-steering axles ensure tyres are spaced closer together to reduce tyre wear and axle strain.